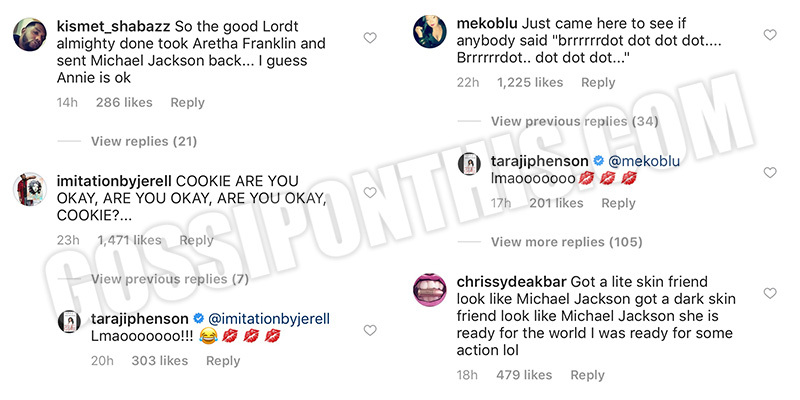 When Taraji P. Henson shared a post-makeup selfie on Instagram on Wednesday (Aug. 22), fans (like me) immediately noticed something was “different.” She looked like Michael Jackson! I’m not sure if it was the hair, the makeup, the lighting, her eyes, or a combination of all four, but she looks VERY King of Pop-ish in this photo. “Today I got roasted by social media @theshaderoom @dcyoungfly and fans let me have it and even told @tarajiphenson to fire me… well same hair and makeup same day in these two pictures but let me explain to the novice #makeupartist out here in the social media world. Lighting makes a major difference in how your makeup appears. 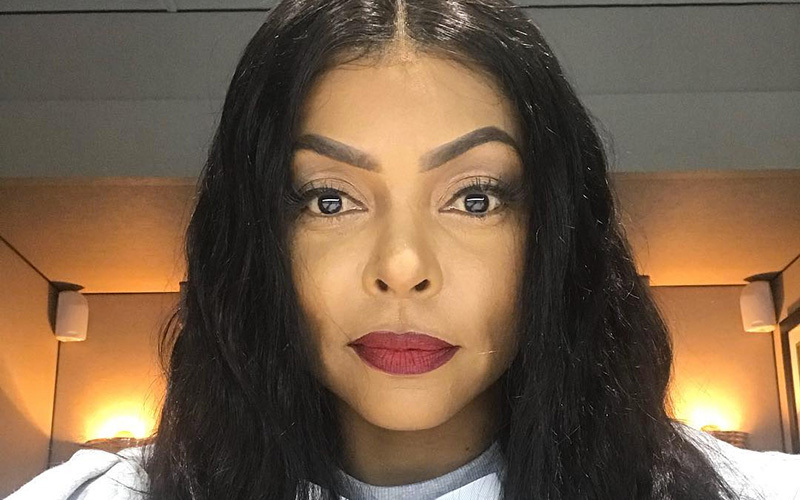 “Taraji has a yellow undertone and in her trailer the lights are fluorescent. Where as in the #makeuptrailer the lights are natural light bulbs. Anyone who is a pro knows that fluorescent lighting will turn your skintone green and make you appear ashy. “I’ve done Tarajis makeup for many many years in fact many celebrities and I was reluctant to address this but I decided it was necessary to teach you novice makeup artist and people who don’t know lighting whatsoever that it does affect how your makeup looks. Furthermore makeup for TV, red carpet, editorial, film etc are all different mediums and makeup reads differently depending on the format used, cameras, lighting, background, hair color, clothing etc. “I’ve been doing this over 20 years so imma say this don’t come for my job or my talent cause the work speaks for itself. I’m so damn tired of people throwing stones and don’t even understand the technicalities involved when it comes to #makeup #hair or #fashion and be so quick to judge people’s work without knowing all the technicalities involved.